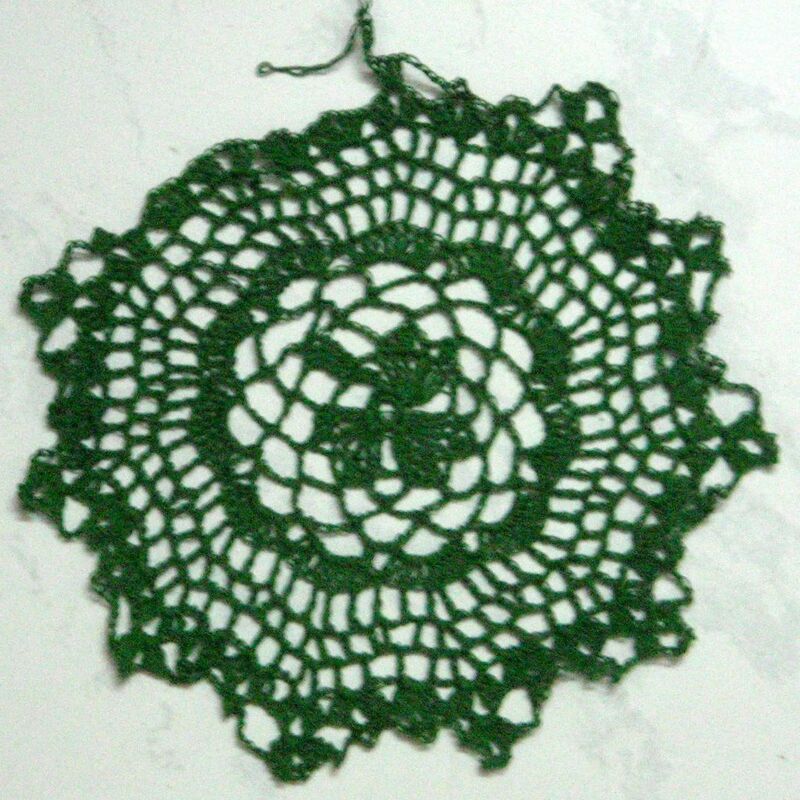 This is the Shamrock doily for my doily_of_the_month Yahoo! group. Remember what I told you earlier about running out of thread just before I finished? This is the result. Uh-huh! I don’t think so! 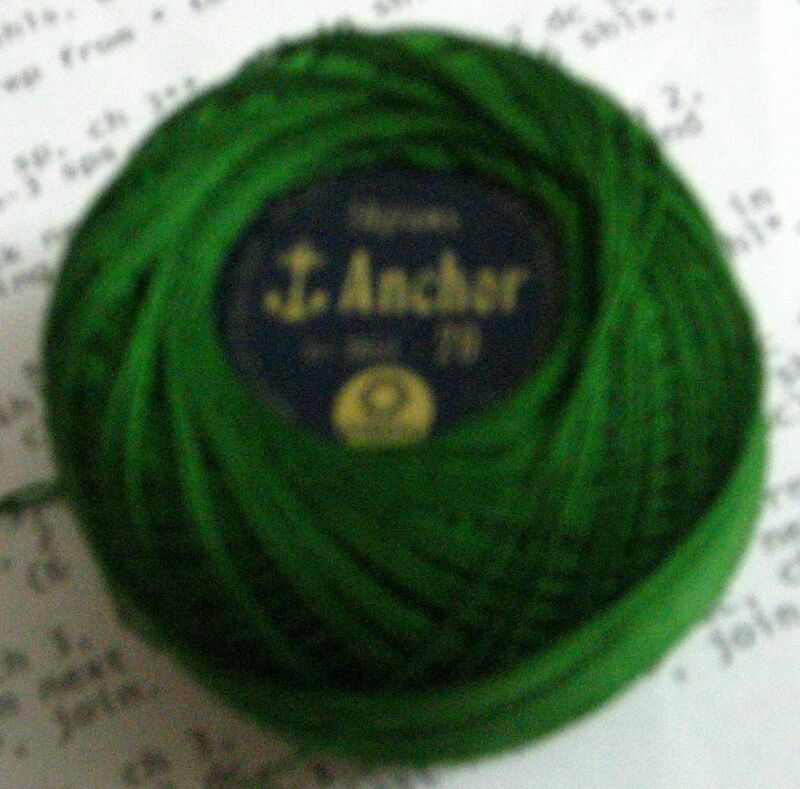 I looked but I do not have this color – perhaps someone at crochetville has it and can send you enough to finish? Try posting a plea for help in the thread section – you never know! Wellllll…Actually, I think I just need to get out of the house and to the shop where I got it the first time, and they should have the colour. It’s just the principle of the thing, buying a whole new ball just for a couple of inches of stitches!